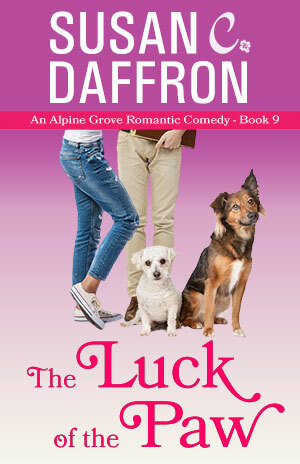 After years of lousy luck, karma finally gives Mia Riggins a break. The arrival of a mysterious package of postcards and lottery tickets results in a sudden windfall that makes it possible for her to finally abandon her dead-end job and the dreary industrial area where she grew up. Accompanied by her digestively challenged dog Gizmo, Mia sets out on a road trip to find a new life–preferably a better one. While changing a flat tire along the shore of a stunning lake, she meets architect Chris Blanchard who seems oddly familiar. After driving hundreds of miles to escape her past, Mia has managed to encounter the only person in the tiny town of Alpine Grove who remembers her as Amanita, the bizarre “poisonous mushroom girl” from high school. What were the odds? Probably about the same as winning the lottery.